Cumulative Update 3 for Dynamics AX 2012 and Dynamics AX 2012 Feature Pack – no specific release date but expected is the second half June. A mix of social events encompassing Golf, a Vatican Tour, and some pleasant meals oiled the wheels of conversation and it proved a great opportunity to benchmark business strategies, forge relationships with expert companies and catch up on industry gossip. As Ax 2012 establishes itself in the enterprise space being part of global network of accredited partners, working to a common methodology, with in an agreed commercial framework, with access to specialist resources, srengthens our ability to continue to deliver successful projects for our clients. Synergy Software Systems partners with Global customers and our client list is a testament to the quality of services and support we provide. We have experience of multi geography projects that few Middle East, or even international parners can truly claim. We formally collaborate with leading overseas Implementation partners for their projects in the Middle East. Our clients have the reassuance that Synergy aready has partnerships in place in most geographies to support their implemenations outside this region. The Ax Pact Alliance represents over 10% of all Dynamics Ax users licences and Synergy is the selected partner for this region, This brings cosniderable benefit to our customers. Dynamics AX is Microsoft’s enterprise-level ERP solution, with broad applications across most every vertical. While an ERP investment can be a costly undertaking for most businesses, our cloud offering for Dynamics AX comes at a much smaller up front and overall cost. So, your licence requirements (and the support costs) and hardware capability should also be able to vary. Organizations become more dispersed, and the size and shape of an enterprise changes quickly in a changing economy, so putting your ERP solution in the cloud simply makes more sense as it delivers true flexibility. In the Cloud add/subtract users monthly (and adjust costs accordingly), and also deliver ERP power to everyone in the organization, no matter where they be and no matter what kind of device they may be using. Maybe you need 50 extra storemen during annual stock check for one period only. Maybe extra staff for year-end sales, or for an unusually large project, or for the harvest season. Maybe you close for month in the summer, or you decide to outsource or subcontract, or to bring back in house. The entire point behind an investment in an ERP platform as comprehensive as Dynamics AX is that it can drive value across an entire enterprise, improving how an organization manages financials, people, production, processes, business intelligence and more. Synergy Software Systems hosting partner was “born” in the Cloud as a pure software-as-a-service (saas) provider more than 14 years ago. The infrastructure is built on the Microsoft stack, with full support for Linux-based applications. Our offering is used by hundreds of thousands of customers enjoying the true flexibility of the Cloud across the entire world, and we mean THE WORLD. In 2011, Microsoft chose our provider as its Dynamics ERP Hosting Partner of the Year. Why? Because no one does it better. With staff and data centers across the globe—this is the only Cloud provider with a real global footprint. We put security first, both internally (being SAS70 Type II certified since 2006) and externally, with infrastructure housed in Tier 3 data centers, offering the industry’s highest physical protection standards. The service is supplied from a shared platform, and accessed through a small client on each user’s workstation. The application icons simply appear both in the Windows start menu and on the desktop. From there, the Microsoft Dynamics AX client application can easily be launched. Integration with the Microsoft Office suite (Word, Excel, Access and Outlook) automatically synchronizes. All configuration and customization can be performed through the Microsoft AX interface. Security, reliability, and global reach are definitely concerns for many companies when they think about moving software and/or services to the Cloud. The main driver pushing them to the Cloud has always been flexibility. However, flexibility is not just a technology integration issue: it’s a BUSINESS issue. A business must be able to scale up, or down quickly, and cannot afford to pay for things it doesn’t use, like software licenses on machines that sit silent, which are critical components in lowering the total cost of ownership (TCO). With the Cloud and SaaSplaza, lower TCO is assured, because technology is no longer a capital investment; it’s a flexible operating cost. We would like you to understand that the Cloud is not simply a place for hosting a solution, but a necessary component of a solution. Some companies offer you “the cloud” and then, in essence, sell you a hosting server. We ensure that you not only have the physical, and hard disk space and memory you need, but also support and service, 24x7x365. We provide a full service, not just a server. Our Service Level Agreement, we proudly place alongside any other in the world. Technical application management to secure uptime. We also provide office hour telephone support for functional end users of the application and back to back escalation to Microsoft if needed. The Microsoft Stack is the Foundation for our Cloud Platform. Cloud control is now made easier with all virtualized servers and applications on the Microsoft platform, which delivers better performance and increased—and easy—self-service. With Microsoft Hyper-V, we have a high availability platform that enables us to quickly and smoothly roll out servers and software through an automated process. With Microsoft and Hyper-V, we ensure that your Cloud platform is FULLY supported by Microsoft. Management and monitoring are comprehensive and stretch from server environment to the application level, specifically pertaining to Dynamics Ax and CRM applications. With System Center, we simplify management via designated modules. Rolling out a new server or a new application can be done with just a few mouse clicks. Hyper-V also delivers the added advantage of possessing a more efficient, performance enhancing memory management than other systems. Should one of the virtual servers need more memory space then it can borrow some from other servers on the same bare metal which are have spare capacity. Which means better response and uptime. Another important advantage lies with the System Center self-service tools, which enables us to monitor environments on a comprehensive online dashboard, print reports, etc. Building exclusively on the Microsoft stack enables us to give us an extremely powerful cloud environment. Following last week’s release of Rollup 8 for Microsoft Dynamics AX 2009 Service Pack 1 Rollup 8 for Process Industries 3.1 for Microsoft Dynamics AX 2009 Service Pack 1 is available for immediate download . For more information on Rollup 8 and to download, please refer to the following knowledge base articles. For a deep dive on all things SQL Server 2012, check out the SQL Server 2012 Virtual Launch Event. All content from the Virtual Launch Event will be available until June 30, 2012. The event features 30+ webcasts from SQL Server 2012 experts in addition to a number of other multimedia features from Microsoft partners. Dynamics AX is Microsoft’s enterprise-level ERP solution, with broad applications across almost every vertical. While an ERP investment can be a costly undertaking for most businesses, we can help you start with Dynamics AX for a much smaller initial outlay and overall cost simply by placing it in the Cloud. The service is supplied from a shared platform, and accessed through a small client on each user’s workstation. The application icons simply appear both in the Windows start menu and on the desktop. From there, the Microsoft Dynamics AX client application is easily launched. The entire point behind an investment in an ERP platform as comprehensive as Dynamics AX is that it can drive value across an entire enterprise,to improve how your organization manages financials, people, production, processes, business intelligence and more. As your organization grows and becoems more vertically integrated or diverse or more geographiclaly dispersed, and as the size and shape of yoru business enterprise can change very quickly in a changing economy, having your ERP solution in the cloud simply makes more sense. Itoffers instant scalability and delivers true flexibility. In the Cloud Saas model , a customer can add/subtract users monthly (and adjust costs accordingly), and also deliver ERP power to everyone in the organization, no matter where they be and no matter what kind of device they may be using. Nowhere is this more important than in the industries directly served by the Dynamics AX, such as manufacturing and distribution (talk about dispersed! ), retail and services (staff requirements change seasonally, if not more often), and the public sector (the Cloud can deliver incredible cost savings. Physical Commodity Trading organizations buy and sell commodities under predetermined contract terms and are responsible for the shipping and delivery of the commodities. The trading industry can be volatile with conditions outside of the trading organization affecting supply and demand. The trading company must be agile in its processes and procedures to ensure not only the timely transportation of the commodity but also control of all costs associated with a contract. A Trading organization has Risk Strategies in place to manage overall exposure to the Market. These strategies can include hedging their physical position on exchange traded futures market and covering their foreign exposure position with forward foreign exchange contracts. Risk Management is key to providing financial control and driving profitability for a trading organization. Our Commodity Trading solution provides access to up to date Contract, Logistics and Risk Management information inside Dynamics AX. Allocation and accrual of all additional cost information associated with contracts and shipments improves the flow of information from trading and logistics to the financial department. Improved access to contract position details contributes to improved efficiency in both Logistics and Risk Management functions. Inquiry and reporting options allow the logistics department to be better informed about contracts due for shipment and the status of those shipments once they have been arranged. Information required by the treasury department to control FX exposure and details of contracts to be hedged is available in real-time and helps ensure the company’s risk strategy is implemented in a timely manner, contributing to minimising risk and improved overall financial control. Microsoft Dynamics AX is a powerful and comprehensive ERP solution and can meet the financial ledger, order processing and processing requirements of many organizations. It leverages the technology and applications from the Microsoft Stack that are so familiar to many of us in our day to day business lives. No package solution will satisfy all business requirements of all organizations. The ax architecture lends itself to the development of industry, process or customer specific functionality that can sit alongside the standard package solution. Synergy implements and develops additional functionality for Microsoft Dynamics . We also work with global Ax isvs and offer highly regarded add‐ons for Microsoft Dynamics AX The developments are done using the same development tools and standards that the Microsoft Dynamics AX and the development teams use and have the same look and feel as the ‘standard’ Microsoft Dynamics AX software. It is also possible for your own developers to be trained to further enhance the developments with the provide Source code and Integrated development environment, and Built in Workflow and Notification engine etc. The Commodity Trading solution is one such development. It leverages the existing functionality of Microsoft Dynamics AX, but is designed specifically for one type of Commodity Trading Company. The trading system consists of a set of contracts that manage the purchase and sale of commodities. The execution of the contract is done on a per load basis, where a load represents the physical transportation of the commodity. In addition to the management and control of contracts, the trading system will manage the physical movement of commodities as the contracts are completed and commodities are moved between physical storage locations. ■ A storage and another storage location (stock movement)Settlement against a contract occurs on a load by load basis within the delivery period defined for the contract. A contract can be for either the purchase of or sale of commodities. Within Microsoft Dynamics® AX a purchase contract is associated to a vendor and a sales contract is associated to a customer. The contract will be editable up until the time it is locked. Once the contact is locked it can not be modified or deleted. Any adjustments to the contract will be done by creating a new version of the contract, which will be a copy of the original contract. This will ensure that a history of all contractual adjustments is maintained, and that the original contract can be reprinted at any time. Contracts may be spread across several delivery periods, whereby the parameters of the contract - such as price - may vary. Each spread would be considered as a sub-contract within the primary contract. A default delivery spread is automatically created for the contract commodity based on the even distribution of the metric tonnes to be delivered over the period of the sales contract. The default spread can then be adjusted manually. Loads are used to manage the pickup and delivery of the traded commodities. A load forms a link between;two contracts, one contract and one storage location, or two storage locations. Typically the load will be the link between a sales contract and a purchase contract. Purchase Contract and Sales Contract: The commodity will be picked up from the supplier and delivered directly to the customer. Purchase Contract and Storage: The commodity will be picked up from the supplier and delivered to a storage location. Storage and Sales Contract: The commodity will be picked from a storage location and delivered to the customer. Storage and Storage: The commodity will be transferred from one storage location to another. Management Levies are collected from some vendors on behalf of certain government agencies. A levy could either be a fixed amount per tonne or a percentage per tonne. The levies that are applicable to a load may be overridden at the time of creating the load. Levies are paid on the net load value and are exempt of GST. A contract washout can occur when there are sales and purchase contracts between parties which loop back to a party involved in an earlier trade. Thus, the series of trades (sales and purchase contracts) have netted out the requirement for a physical delivery for a portion of the contract. who sells back to Company A. This loop means that no physical delivery need occur , and the trading contracts are netted out with the individual parties realising a financial gain or loss on the trade. The gain or loss on the trade will have a financial impact only, and generates an invoice or payment to all the parties involved in the washout. Furthermore, as this is recognised by the tax office as a financial transaction, it does not attract any GST. The washout could finalise either a portion of, or the entire originating contract. If the whole contract is washed out then there will be no loads. If only a portion of the contact is washed out, then the remaining quantity of the contract would be processed via loads. Bonification is a system of rewarding or penalising suppliers for the quality of their produce. The bonification system is centred on a series of standard measures – such as; oil content, protein, moisture, etc – that could either increase or decrease the value of the produce. Each load of produce transported from the supplier is run through a series tests to determine such measures as oil content and protein. These test results are then compared to a set of standards tables prepared by industry peak bodies to determine if the tested results are below or above the set standards. If the results are above the standards then a bonus may be applied increasing the value of the load. Conversely, if the results are below standard the value may be reduced. Infor announces the general availability of the latest Infor Business Intelligence (BI) release—Infor10 ION BI 10.3.2. This release extends the supported platforms and languages, as well as offers a new business planning component. Create powerful analytical dashboards using OLAP technology. Perform insightful data analysis with a wide variety of forecasting, financial and statistical formulas. Customize every detail of your dashboards with a flexible dashboard designer. A built-in scripting engine allows you to create interactions to make each dashboard unique. 40+ distinct visualizations, from charts, gauges and maps to scorecards, sparklines and state indicators. Add context to your business metrics by adding annotations, discussion threads and comments directly to the dashboard These customizable, attractive visualizations are what truly makles Dundas Dashboards different. Connect to almost any data source, including SQL, Oracle, Excel, Access, MS OLAP, SAP BW, Teradata, Visual FoxPro, Google Analytics, and many more. Have Dundas Dashboard email you when your data reaches specified conditions or when users comment on your dashboards. Email your dashboards on a custom schedule (e.g. weekly sales reports). Get expert support from experienced dashboard developers, designers and business analysts who can assist in every facet of dashboard creation. Contact us for more information. Do you or your organization suffer from a lack of focus during your planning, budgeting, forecasting and reporting exercises? Also consider Dundas Dashboards for rich data visualisation of your data to focus senior mangement’s attention on what really matters with intuitive presentation of data. Microsoft Dynamics GP Enterprise Reporting – Replacement? Synergy Software Systems offers expert services for both solutions! Microsoft has delivered on all the enhancements it promised last year in Management Reporter 2012 e.g. According to the Dubai Statistics Centre, in December 2011 the number of people living in Dubai hit 2.003m.The Dubai Statistics Centre said that the population was skewed towards men because expatriate male workers were not always joined by their families while living there., The highest number of people in Dubai at any one time was 3.023m, which includes both tourists and people who live outside the emirate but commute to work there. April fool’s day in Dubai. At the beginning of 2011, Dubai‘s most notorious man-made islands, a.k.a. The World, made a splash with news that they were slowly but surely sinking into the sea. 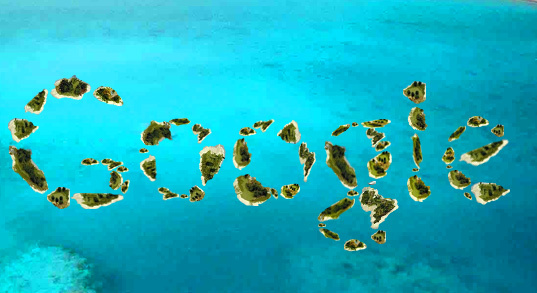 Now, in a bizarre twist of events that even had us surprised (and trust us, we thought we’d seen it all when it comes to The World), Google has announced that it purchased the troubled archipelago and will be reconfiguring it to form the shape of the Google logo. While we’ve seen the search engine giant dabble in everything from green energy to self-driving cars, this is the first we’ve heard of them making their way into island real estate. Once complete, the Google-shaped landmasses will be self-sustaining floating cities, and the company reports that it plans to retain a portion of the development for its own private use and sell the rest off to the highest bidders. The Google Islands will be equipped with photovoltaic panels and wind turbines in order to sustain day to day life, and engineers are also considering tidal power. While The World had major problems staying above water, Google says that it’s employed top engineers to assess the damage that the man-made islands have sustained and reinforce them so that they will be secure once each island is moved into place. According to Google reps, five of the islands that make up the big “G” in Google will serve as the company’s headquarters in Dubai, as well as a private resort for its employees. Reported potential bidders on the remaining islands include Leonardo DiCaprio (who had already reserved part of The World) and Cameron Diaz. Legend has it that the New Year in France always began on April 1. As King Charles IX of France discovered in traveling his kingdom, the date of the New Year varied depending on the diocese. For example, the New Year began at Christmas in Lyon and on March 25 at Vienne, or on March 1, or at Easter. With the Edict of Roussillon, issued in 1564, it was decreed that the New Year would henceforth begin on January 1.
. The French April Fool’s Day holiday dates back to 1564 and King Charles’ edict. It’s said that French subjects who didn’t appreciate the January 1 date continued to celebrate around April 1. Other people who adapted to the new date made fun of the April 1st followers, using the occasions to play tricks on them and giving the April 1st followers false gifts. In this way, the tradition of the fish (“poisson d’avril,” or “April fish”) began. The day of fools also has been interpreted as meaning “the day for those who don’t accept reality or who see things differently.” Which is probably why you’re reading this blogsite!